An initiative by Drucken Heften Laden. Drucken Heften Laden discusses and analyses the conditions and possibilities for independent publishing in the context of art and city (politics). As a group of small Berlin based producers and publishers, we are interested to negotiate and sharpen our idea of what „independent“ and „self“ publishing means. 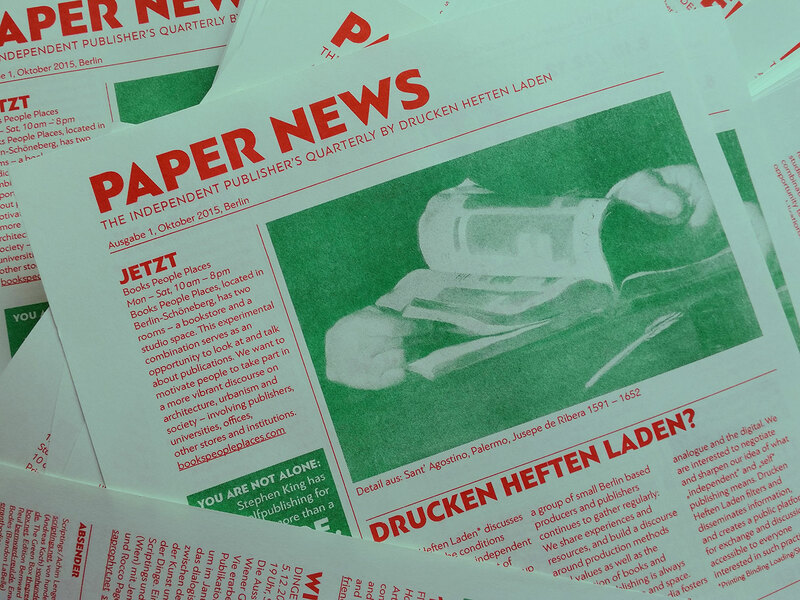 Drucken Heften Laden filters and disseminates information, and creates a public platform for exchange and discussion, accessible to everyone interested in such practice.